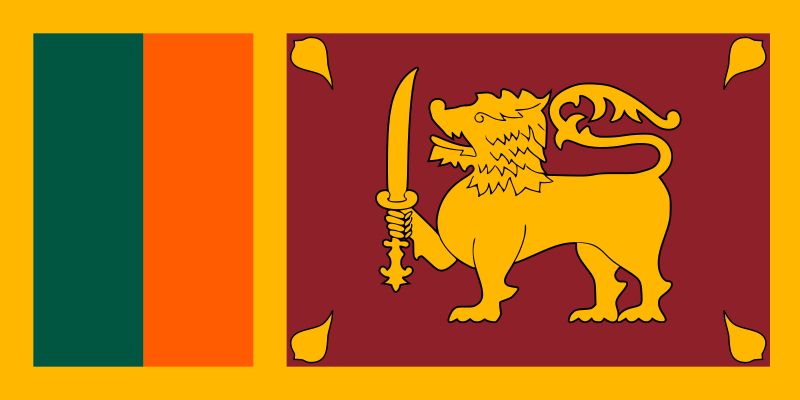 A surprise cover from Sri Lanka, sent by Dr. M.J.M. Mikram! 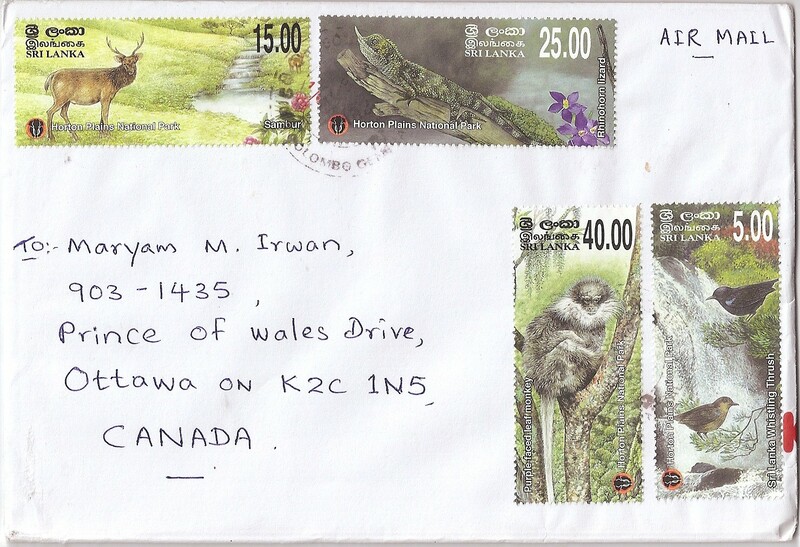 On the cover, Mikram affixed four stamps featuring animals at Horton Plains National Park. The postmark date is 25 June 2013. Inside there are two postcards. 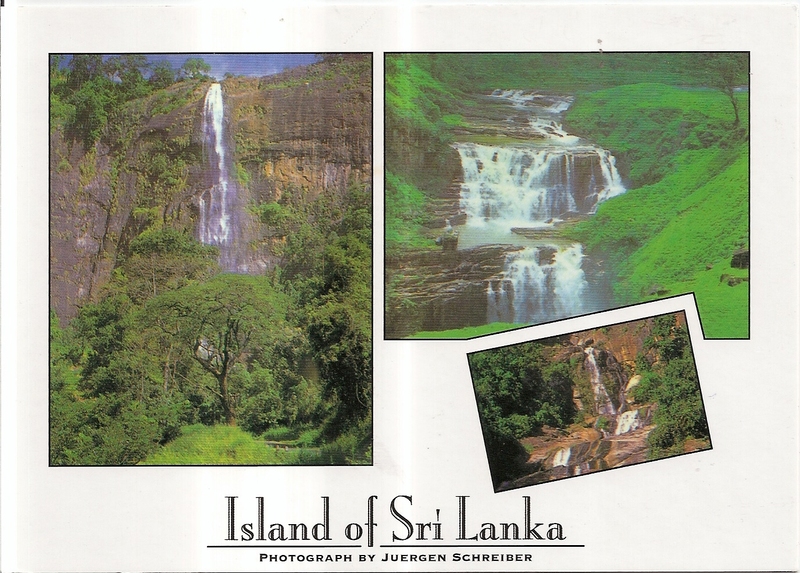 This one shows three waterfalls in Sri Lanka: Diyaluma Falls, St. Clair’s Falls, and Ravana Falls. 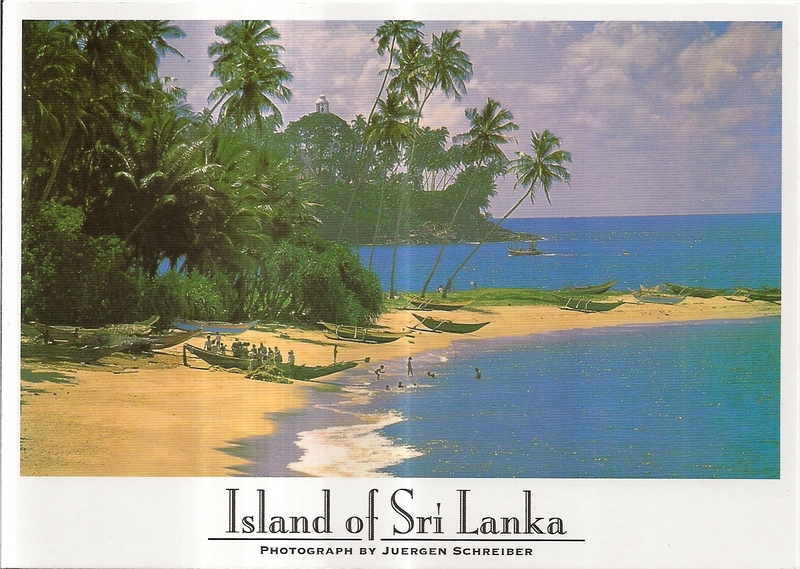 This postcard shows a beautiful beach scenery at Beruwala. Thank you very much Mikram!